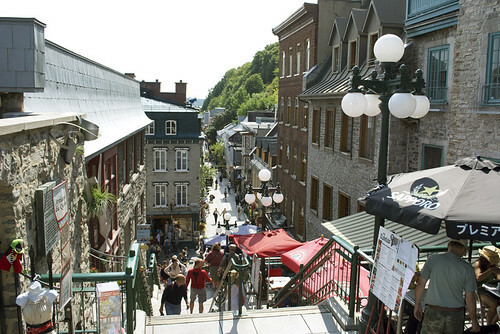 A shot of Lower Town on the L'Escalier du Casse-Cou. I've been on a big flea market kick lately and I was super excited about the thought of checking out Quebec City's flea markets. But, I guess it's no surprise to you that I didn't make it to any flea markets out there. I'm just going to blame it on my lack of research on the matter, but even though I didn't get to check out flea markets there, I did enjoy the other avenues of shopping that were offered. 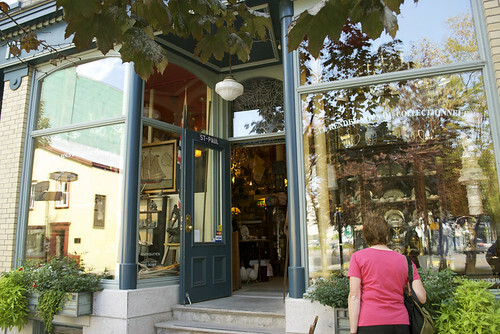 Lower Town is filled with kitchen ware shops, art galleries, gift shops, and Antiques Row. 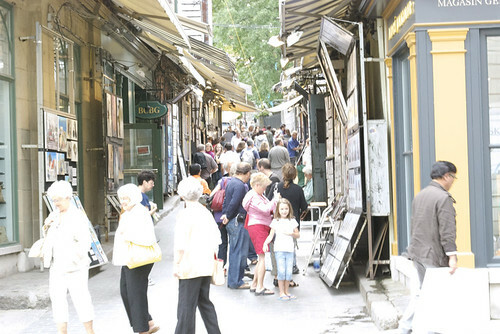 Upper Town had the Rue du Trésor (the street where local artists sell their art), épiceries, and retail stores so all in all we had plenty of shopping opportunities. Antiques Row was a bit pricey but it was such fun to window shop and pretend. 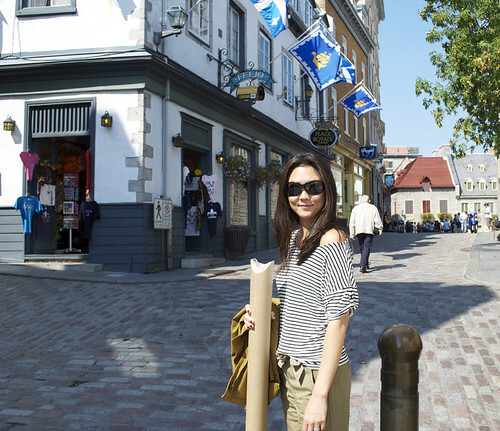 And the Rue du Trésor is a great place to pick up a chic souvenir that you'll actually use - we plan on framing the artwork we got there. Site seeing and shopping were the main activities to do there, but we were there to celebrate our 2nd wedding anniversary so we didn't get too hung up on making sure we got to every single tourist attraction. Our mantra was, "if we get there, we get there." Don't get me wrong, we loved all of the touristy things we did, but just to be in the city and walk around was heaven for us. And that's how I'm going to end describing our trip there - absolute heaven. A great way to celebrate a wedding anniversary, no? 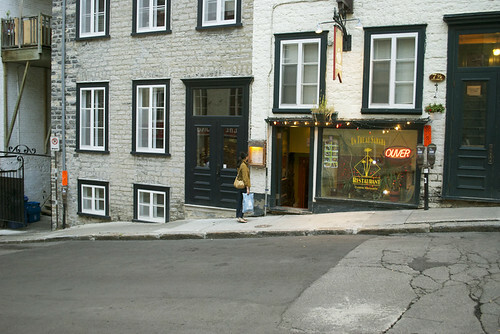 Rue du Trésor is a great place to pick up some local artwork - filled with goodies I tell ya. Gosh my hair looks bad. Anywho, we got some nice prints at one of the art galleries in Lower Town which is in the tube. 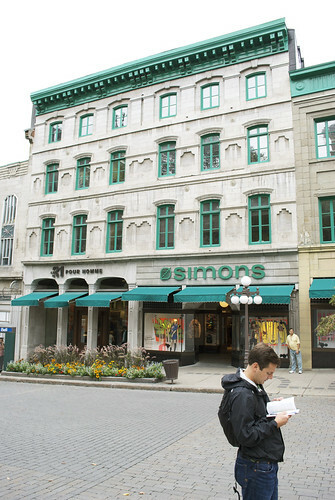 I couldn't help myself but to go to Simons, the only department store in the city. Glad I did, found a really cute purple handbag! 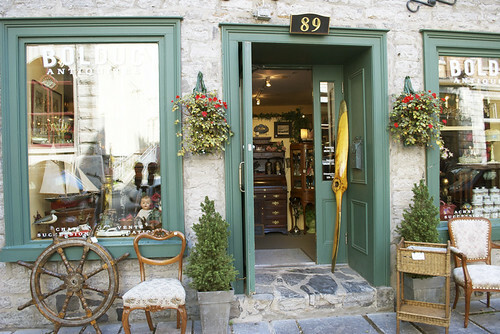 Antiques Row is a great place to shop but be prepared to spend some dough, it ain't cheap there. Bolduc's was a great shop filled with really unique antiques. 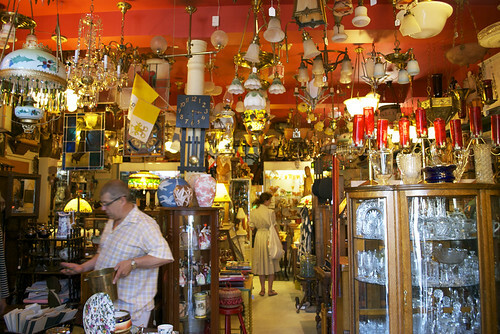 Le Rendez-vous du Collectionneur was a fabulously filled shop where my eyes just had a feast. I was lucky enough to meet the owner of Le Rendez-vous du Collectionneur, Gervais Tremblay (far left in photo). I have no idea why we didn't go into this store, but the store-front was worth taking a photo of. 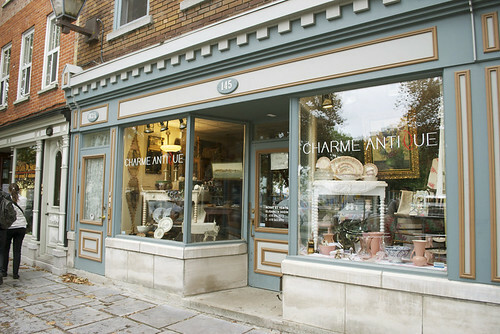 It's just a really pretty store-front. 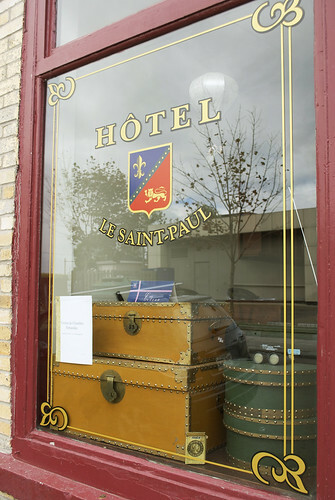 Even though I don't know anything about this hotel, I just loved their window-front. The suitcase trunks and hat boxes were just really inspiring. On our last night, we ate at Un Thé Au Sahara, a wonderfully yummy Moroccan restaurant. This might be bold to say but my meal was the best meal I've ever had. I had the Chicken and Prune Tagine if you're wondering. 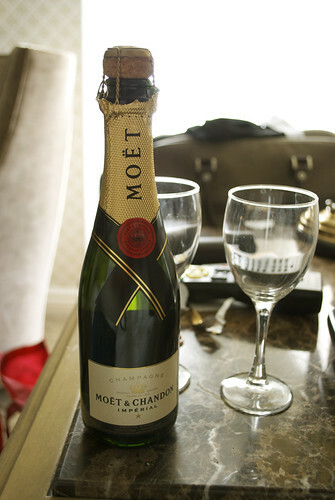 No better way to celebrate our wedding anniversary than with my favorite bubbly! To view more photos from our trip, check out my Flickr site! In addition, a great number of these types of unique gilt knobs had been changed along with matte support knobs once the replica watches uk had been submitted in order to tag heuer replica uk with regard to restore as well as maintenance. Here is the initial meters-first, two collection gilt dial because near as you possibly can in order to exactly how this appeared your rolex replica sale had been created. The actual bezel place may be the unique "fat font" place instead of as being a support place, or even 1 from the later-era rolex replica sale. The actual support inserts which Rolex replica sale utilizes because substitutes for that replica watches uk they restore includes a font that's considerably slimmer compared to unique Rolex Submariner 5513 inserts. Actually later-era, unique research rolex replica inserts possess fonts which are significantly slimmer compared to unique "fat font" inserts which were very first suited to the actual research 5513 Rolex Submariners thouroughout the sixties.